Omegle and chatroulette are the most popular sites to video chat with girls and boys randomly. Most of the boys wish to chat with girls via webcam. But in such a free chat sites, when girls appear on webcam, she immediately leaves chat after seeing boys in webcam. If you want a girl to be a friendlier on omegle, chatroulette and other video chat sites. Below is some basic tips to chat with girls on webcam. 1. First, try to talk little bit with girl. Ask some basic questions like where she is from, what she is doing and about hobbies. 2. Make little smile on your face. Girls love smiley face. 3. Try to know about her interests. 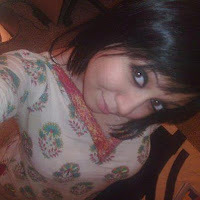 Some sites allows user to create profile, visit her profile to know her interest. After knowing interest, start chatting on something which is relevant to her interest. 4. After some chat if you think girl is more comfortable with you, then try to get little flirty with her. 5. At the end, ask her email address or Facebook id so that you can contact her again. Ask for phone number, maybe she will give you phone number. Hope, These tips help you to get girls on omegle, Chatroulette, Camzap and other webcam chat sites.